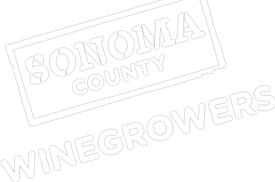 The Sonoma County Winegrape Commission, in conjunction with the Mendocino County Farm Bureau and the Sonoma County Farm Bureau, is hosting an informational meeting for grape growers and landowners regarding the State Water Resources Control Board’s curtailment of water rights along the upper Russian River on Wednesday, July 16, at 3:00pm at the SRJC’s Shone Farm Pavilion, 7450 Steve Olson Lane, Forestville. Water right expert Paula Whealen, a Principal with Wagner & Bonsignore Consulting Civil Engineers, will provide information on the upper Russian River water rights curtailments, potential enforcement actions, and other water right information and issues. Jack Rice, Associate Counsel with the California Farm Bureau Federation, will provide an overview of water rights. An update on the recent frost litigation and the legal ramifications from the appellate decision will also be provided along with ample opportunity for audience Q&A. There will be brief presentations by: Tony Linegar, Sonoma County Agricultural Commissioner, Doug McIlroy, Sonoma County grape grower, Laurel Marcus of CLSI, and Devon Jones, Executive Director of the Mendocino County Farm Bureau. Karissa Kruse, President of the Sonoma County Winegrape Commission, will provide introductory remarks. For more information on the meeting contact Karen at [email protected] or 707-522-5862.